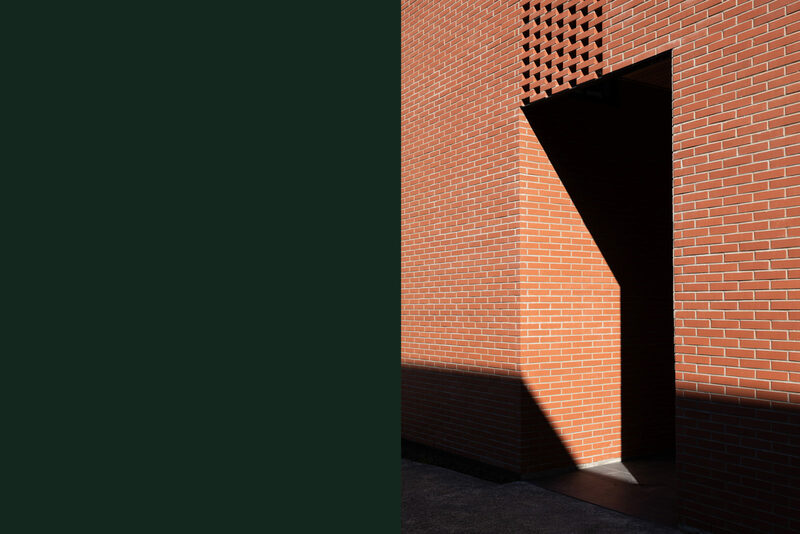 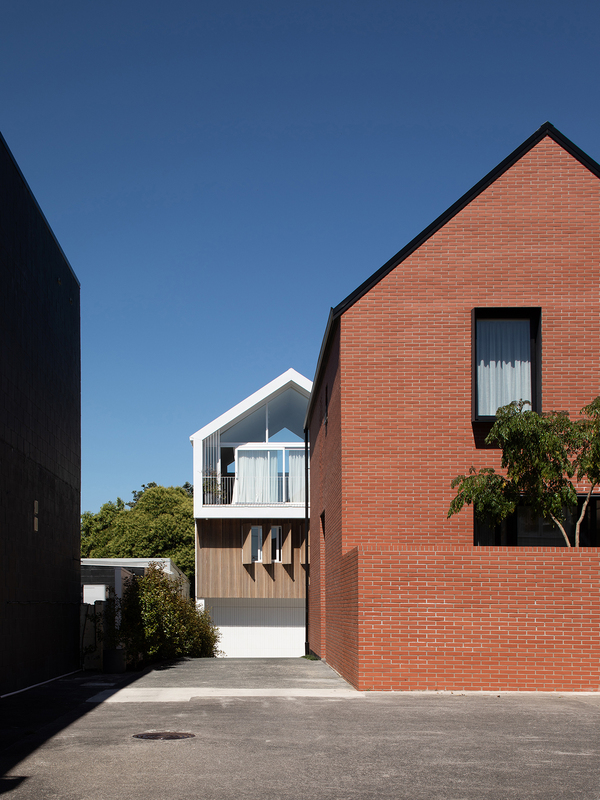 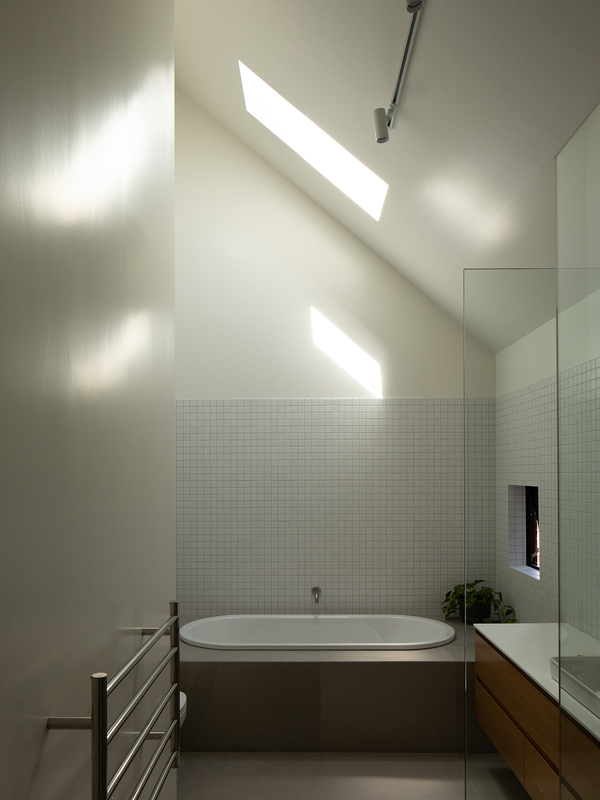 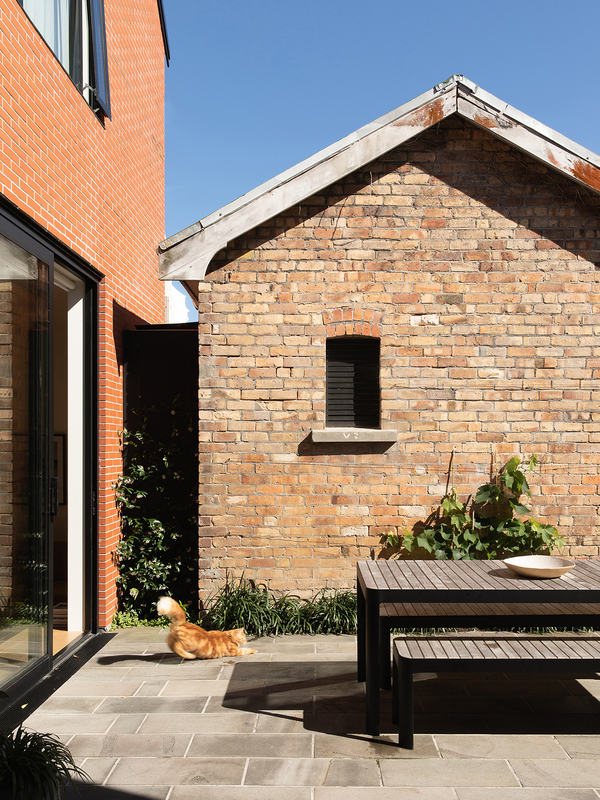 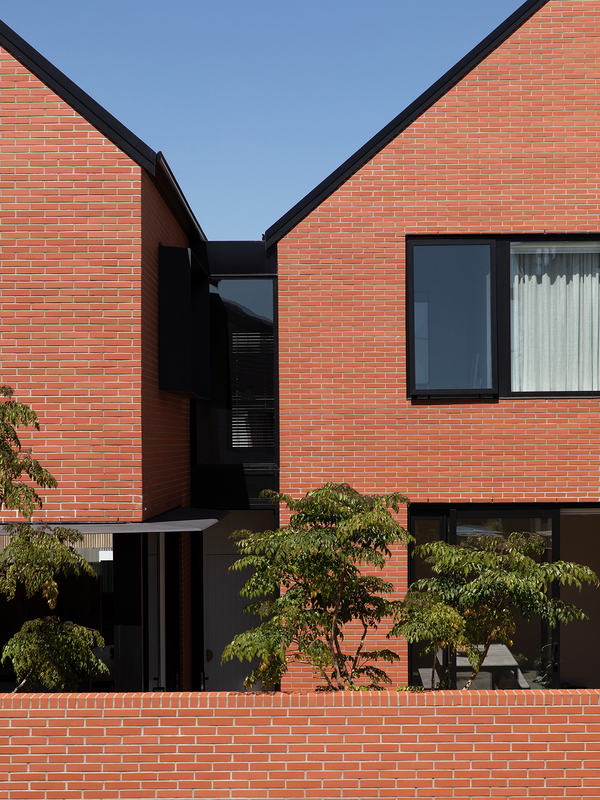 This two-storey brick-wrapped courtyard home is a set of two gabled forms on a constrained site. 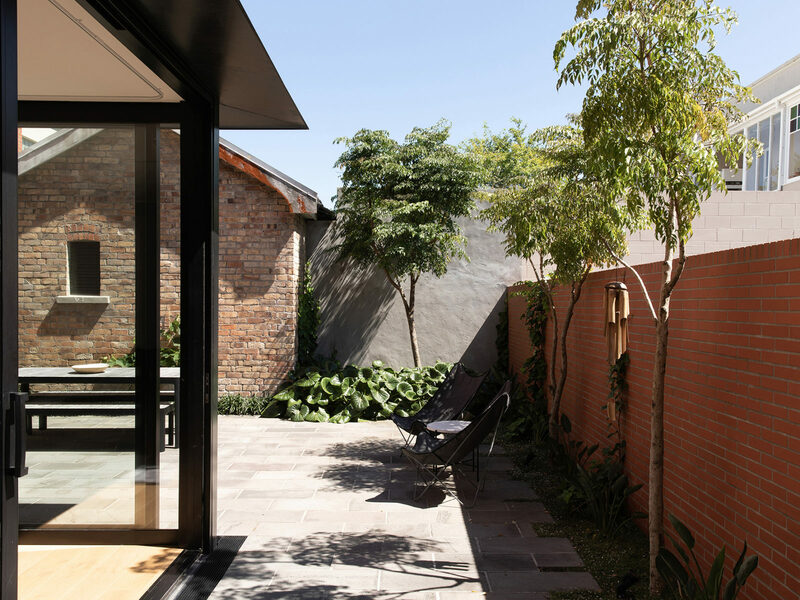 Straddling commercial and residential zoning, with a heritage overlay, the design balances privacy from neighbouring buildings and maximises sun via a northerly courtyard. 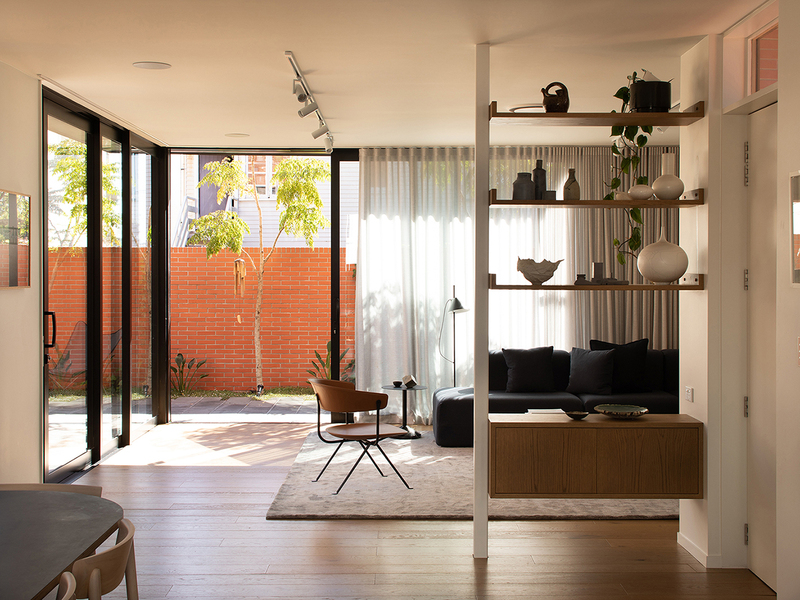 Living areas are at ground level and flow to the courtyard. 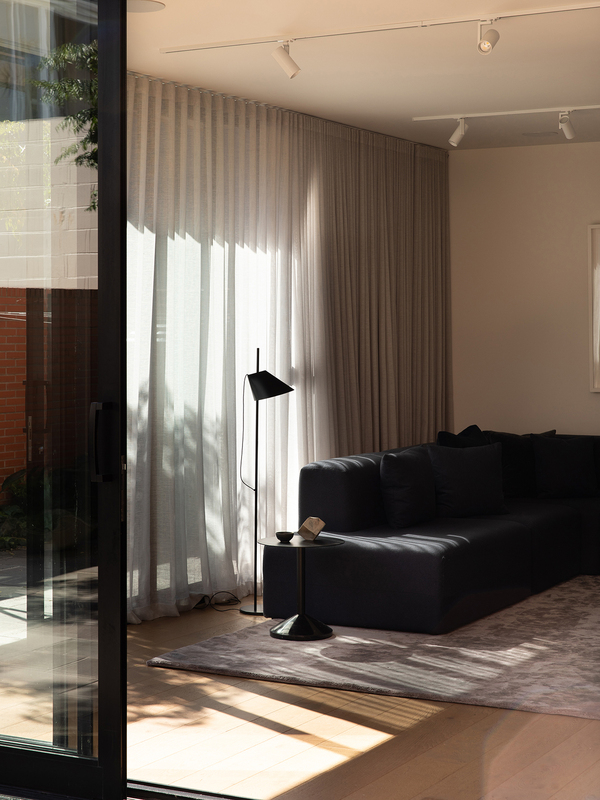 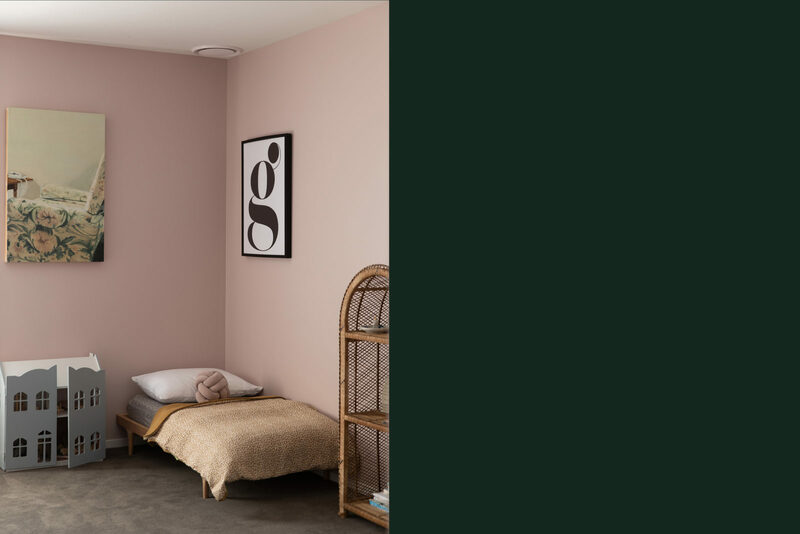 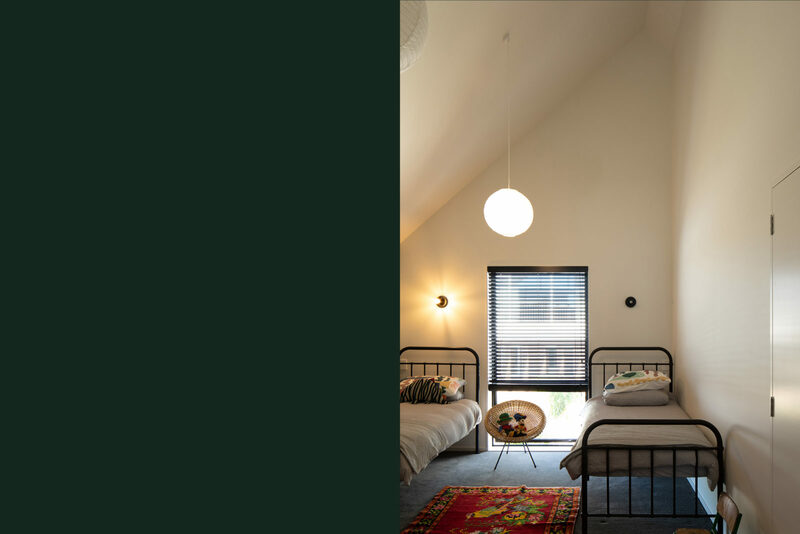 To conserve interior space, built-in elements have been worked around structural steel posts – there’s a sunken snug (a great play area for the children), a deep day bed for relaxing, and shelving for display and storage. 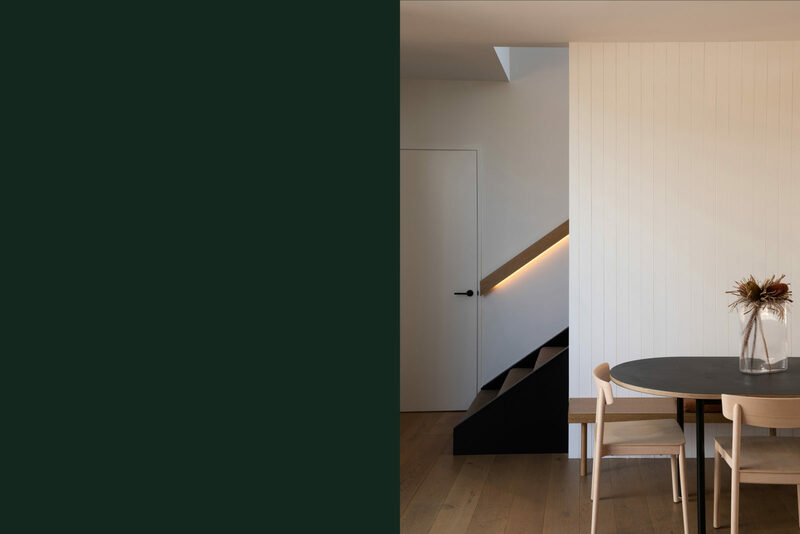 An oak screen leading from the public spaces downstairs to the private areas upstairs acts as a transition, opening up to volume under high ceilings and four bedrooms, bathrooms and an office. 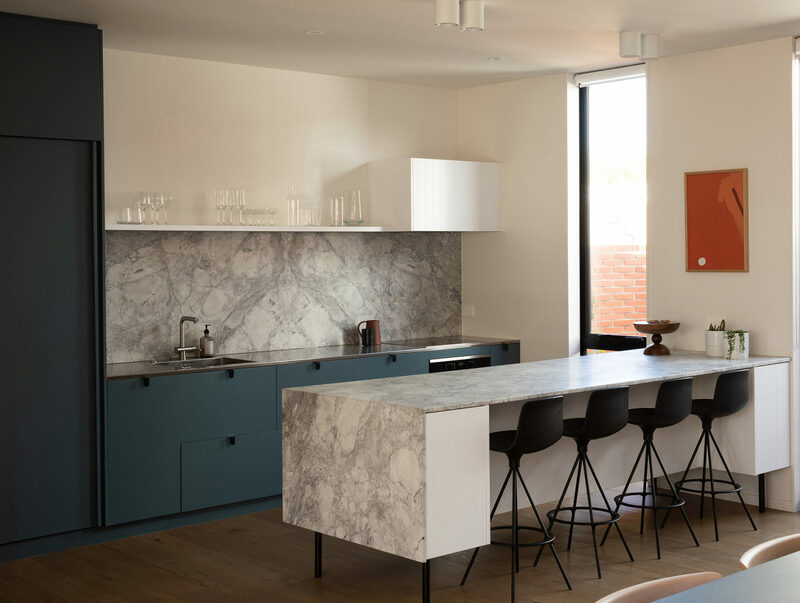 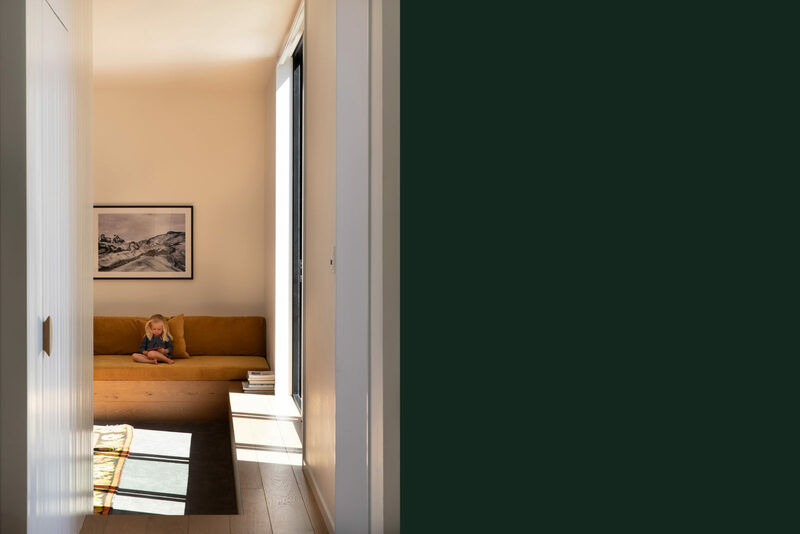 The 260-square-metre footprint on a 398 square-metre site is efficiently designed to accommodate a young family of five on a modest site.